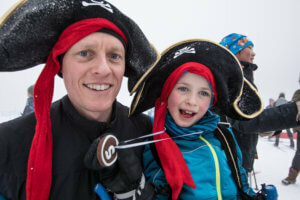 With all the hubbub surrounding the Vernon Winter Carnival Pirate Theme this year, we figured that we best step up to the bowsprit and host our very own Pirate themed event for our members and the public. With a reduced amount of volunteers available to help run the Tips Up Cup it was decided to axe the event before Christmas. 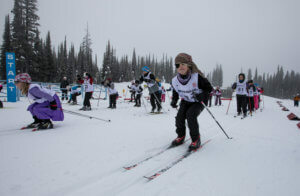 Some programs parents, however, hopped right in to ensure that we could host a fun club event that day and with about 10 volunteers, they held a fantastic little ski race for the kids that will be attending the Teck BC Midget Championships next weekend. It was open to all programs kids and the turnout was fantastic! Program parents hosted a great BBQ that raised over $700 for Skill Development Programs. There was no fee for the race in the morning and many of the kids stuck around for the Jess4Kids Team Challenge afterwards, keeping the fun rolling for another hour and a half. 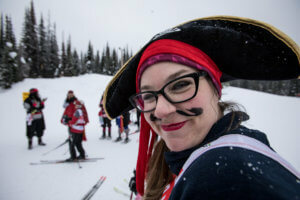 The Jess4Kids Team Challenge is always a great addition to the events of the day and the Winter Carnival as a whole. 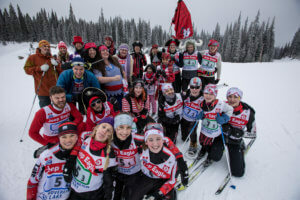 Dedicated the memory of Jessica Eaman, a wonderful former coach and club member, it is an opportunity for friends of Jessica’s, as well members of the public to help promote the cause and donate to the Jessica Eaman Ski Scholarship Fund. This initiative was created by a dedicated group of friends that would make skiing available to any child, regardless of their socio-economic status to enjoy Sovereign Lake and the great outdoors. 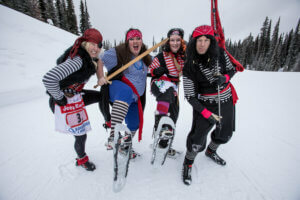 Each year the Jess4Kids Fund provides skiing and snowshoeing opportunities to over 300 kids who otherwise could not afford it. 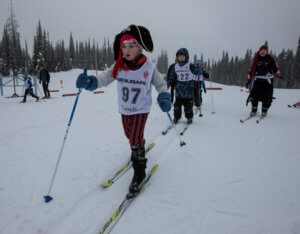 This is an integral component of our S’Cool Ski Program. We raised over $3000 during the event. Thank you so much to all who donated to the event! The Team Challenge consisted of relay teams of four that each took turns racing around two courses. The ski course was located on Wylies Loop, and the snowshoe course went through our recently reopened Animal Trail adjacent the stadium. Thanks so much to everyone who came out and participated! !